What an amazing bag and man! ahh lucky girl! this bag is perfect. this bag is so STUNNING!!!! i love the colour! Preciosa cartera si!! muy linda!! besos Vero! Wow what a gorgeous bag! its absolutely gorgeous, can’t wait to see you wear it! great bag and I love the color! 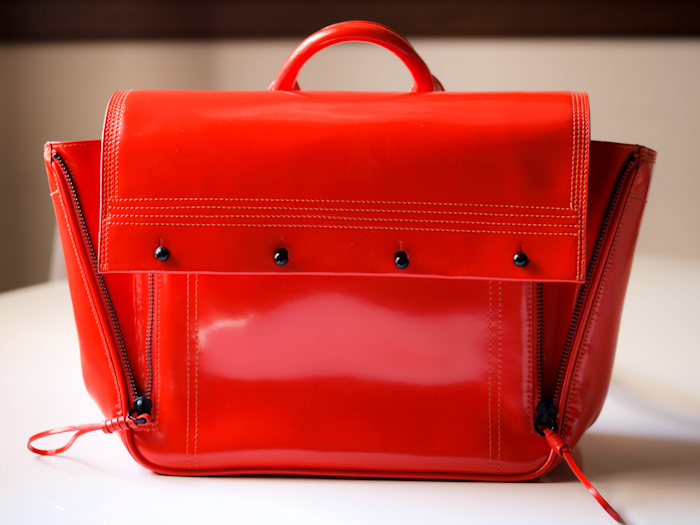 OMG this bag is really perfection! Oh my gosh! This is stunning! Amazing color!! Love Phillip Lim bags!